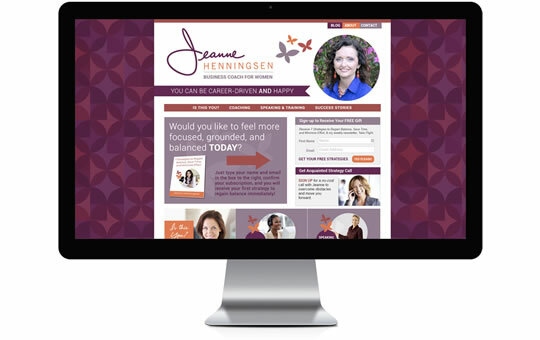 Jeanne Henningsen is a business coach for women. 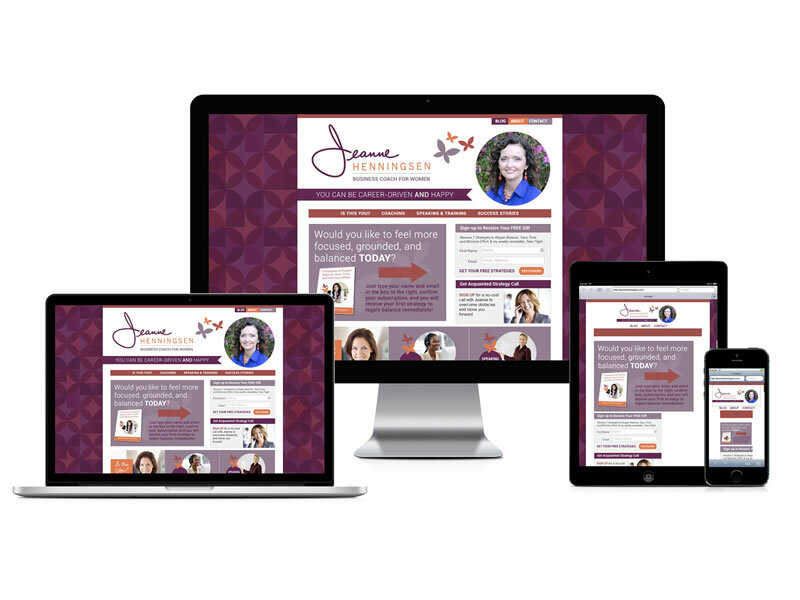 Jeanne came to us looking to have her site redesigned using WordPress so she could manage her content easier. 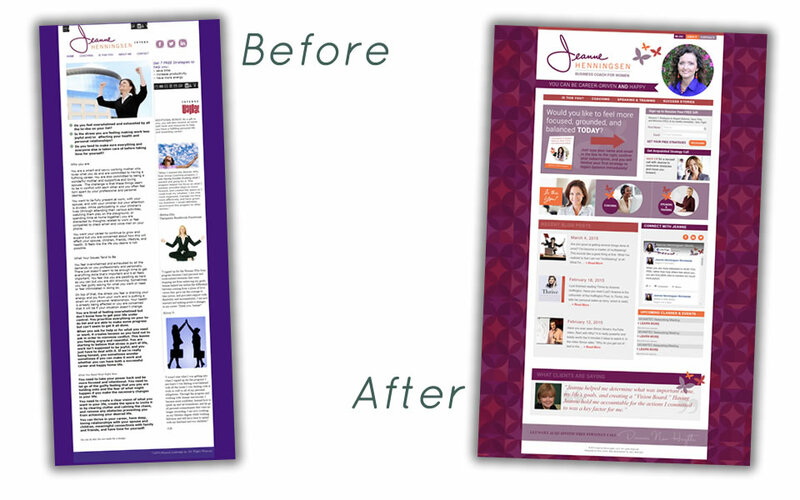 She was also getting new branding to uplevel her business and online presence. 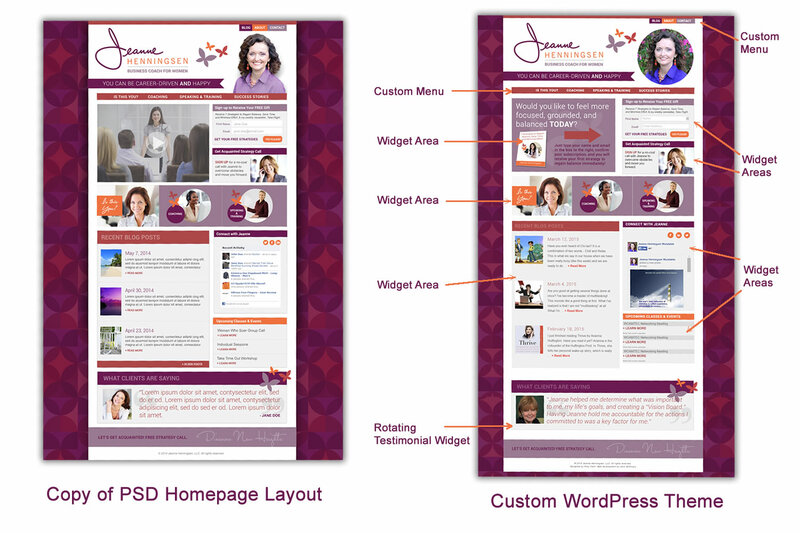 We took the new design sent to us in Photoshop files to create a custom WordPress theme for her site. She’s extremely happy with the results. She now has a site that represents her and the level of business. It had has made a significant impact in her business overall and she’s pleased with how easy it is to manage everything now.